Skycoin is a complete ecosystem based on an innovative next-generation blockchain technology. Skycoin has been developing continuously for nearly 7 years with the first commit dating back to 2013 by early developers of Bitcoin and Ethereum. They have their own consensus algorithm known as Obelisk written and published academically by an early developer of Ethereum. Obelisk is a non-energy intensive consensus algorithm based on a concept called ‘web of trust dynamics’ which is completely different to PoW, PoS, and their derivatives. A major goal of Skycoin is to promote actual usage of cryptocurrency rather than speculation. Skywire, the flagship application of Skycoin, has the ambitious goal of decentralizing the internet at the hardware level and is about to begin the testnet in April. However, this is just one of the many facets of the Skycoin ecosystem. Skywire will not only provide decentralized bandwidth but also storage and computation, completing the holy trinity of commodities essential for the new internet. Skycoin also has its own ICO platform called Fiber, their own deterministic programming language, CX, derived from Golang, a private decentralized messenger system called Sky-Messenger, and a decentralized social media platform, BBS. Here is another way to think of Skycoin: An open-source, community-owned, hardware-based peer to peer internet designed from first principles and leveraging the incentive system of the blockchain. Moreover, unlike most ICOs you see these days, they’re not asking for money with the promise of developing something in the future. This is a project with a 7 years long development and the testnet of their first flagship project is about to launch. Skycoin (SKY), a third generation cryptocurrency, is the fuel of the entire ecosystem. It supports 300 TPS, free transactions with less than 2 seconds transaction time, is resistant to 51% attacks, is sustainably maintained without energy-intensive mining, has default private transaction with the CoinJoin protocol, and pays a form of dividends in a different currency known as Coin Hours (think NEO/GAS). This is all possible due to its innovative consensus algorithm called Obelisk. The flagship project, Skywire, will be decentralizing the internet with an incentivized mesh net of nodes. In the future, by installing a mesh net of antennas, you can stop piggybacking off of the existing infrastructure. Skywire is based on the famous open-source networking project cjdns and an open-flow protocol (also known as software-based networking). It’s said that the speed of Skywire will be drastically faster than any existing VPN and the current internet itself with the channel bonding capability and a DNS based on public/private keys. This has already been demonstrated with the non-blockchain incentivized cjdns protocol (“an encrypted IPv6 network using public-key cryptography for address allocation and a distributed hash table for routing”) developed by the open-source networking protocol community from early 2011. Testimonials are taken from cjdns’ Github. Holding 1 Skycoin in the Skycoin wallet produces 1 Coin Hour every hour. Coin Hours will be the currency that you use to transact bandwidth and other services within the SKY ecosystem. This effectively makes Skycoin a cryptocurrency backed by bandwidth. If you want to use Skywire you will first have to become a node on the network. Nodes that are forwarding traffic direct encrypted traffic without knowing where the encrypted packets will ultimately go. You only know one node before and after your node. At the same time, encrypted packets prevent you from viewing the data. Meanwhile, you’re getting paid in Coin Hours for forwarding packets. The file can only be unlocked and viewed with the requester’s private key once it reaches the destination public key. You can think of it as a peer to peer torrent network where the data is encrypted and is only able to be seen by the leecher. Meanwhile, seeders, or rather the interconnecting nodes of seeders, will all be paid by the bandwidth they are seeding. No longer will we get people who just leech and never seed (admit it, we have all done it). Now everyone is incentivized to be that lone noble seeder who’s been seeding the cracked version of Roller Coaster Tycoon on their own for years. 6 years before the release of this episode of Silicon Valley, Skycoin has already been in development. There is a multitude of reasons why the team decided to design an entire internet prior to building this new vision of blockchain 3.0. This has removed security flaws seen in other blockchain protocols at the network level. By incentivizing a decentralized network of hardware with a non-computational intensive consensus protocol, blockchain applications on Skycoin will be able to scale horizontally infinitely. Fiber is the blockchain architecture behind Skycoin, and all the future ICOs (currently 30 in the pipeline) will be utilizing this open source technology. The team believes that putting the world’s dApps into one single blockchain will never enable the scaling needed for a true mass adoption. Instead, each company will have their own modular blockchain, and they can customize it for their needs, whether as a private permissioned chain or a public permissionless chain. Consequently, giving everyone their own bespoke blockchain prevents situations where a single dApp clogs the entire network, like CryptoKitties on Ethereum. In order to solve the pay-off problem between the never-ending struggle between “Efficiency, Security, and Decentralization,” Fiber allows every company to decide on the degree of decentralization needed for their specific use cases. The team developed the Skyminer to answer that question. One of the few blockchain projects with a hardware product. The Skycoin developers built the Skyminer with the most suitable combination of cheap but efficient hardware needed for the design of Fiber. Furthermore, the Skycoin foundation encourages building DIY (Do It Yourself) miners with an extremely enthusiastic DIY community. It’s important to note that the consensus algorithm Obelisk does not employ the conventional idea of mining in order to prevent the centralization of miners we see today in Bitcoin. There are no block rewards for minting a block. “Mining” in the context of Skycoin refers to the contribution of bandwidth, computation, and storage to the network in return for Skycoin and Coin Hours. A DIY miner built by the community. Essentially 8 Orange Pis, a router, Ethernet cables and a power supply (a total cost of 600 USD). Using cheap but efficient and easily accessible hardware prevents problems like ASIC mining centralization. At the same time, it provides the hardware needed to for infinite horizontal scaling. Interestingly, each Orange Pi will act as a node for only one application on Skywire. Quarantining each application into its own blockchain will remove the systemic risk of an ever-growing massive worldwide blockchain. A high-level representation of parallel scaling. Eventually, co-founder of Ark and Bitseed, Mike Doty, will mass manufacture the next generation of Skywire miners. This will ensure that there’s enough hardware for a growing Fiber ecosystem. A mesh net of wireless antennas will remove the need to piggyback off of the existing internet infrastructure. Eventually, the Skywire miner will provide the decentralized bandwidth, computation, and storage on Skywire. The Skycoin foundation will be subsidizing running Skyminers for the initial phase of the project until they’re self-sustainable. There are a total of 100 million Skycoins with 7.7 million Skycoin already in circulation. Assuming the same rate of distribution as the past 3 years, Skycoin will probably reach 25 million coins in 2022. 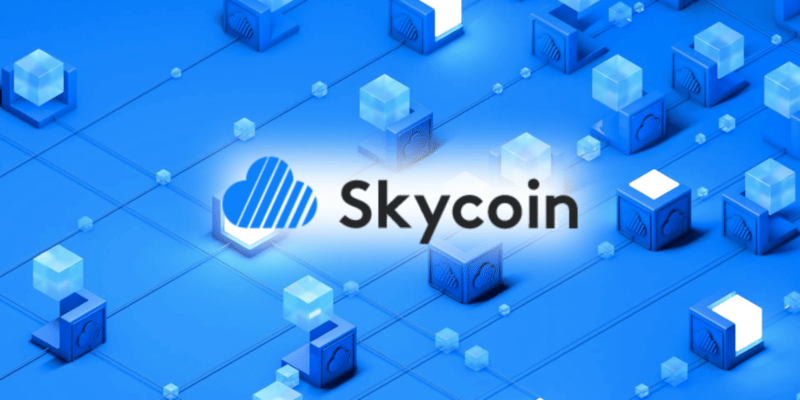 The Skycoin foundation will distribute a maximum of 5 million Skycoin a year once circulating supply reaches 25 million. Skycoin reached an all-time-high of 49 USD in early January. Since then it has retraced to a low of 8 USD along with the rest of the cryptocurrency market. Currently, Skycoin is available to buy at Cryptopia, C2CX, and Iquant. In addition, an OTC by-pass function is also available on their website where you can directly purchase Skycoin. The OTC by-pass feature will be available directly in the wallet in the future as well. You can use the official desktop wallet, web wallet and a soon to be released mobile wallet to store your SKY. The Skycoin team has constructed a thoroughly convincing argument on the weaknesses of existing major coins on the market. Meanwhile, they have laid out a set of attractive solutions solving those weaknesses. They seem to have been able to live up to their claims on the technological front so far. However, decentralizing the internet is no easy task, let alone starting at the level of hardware. Furthermore, their ability to communicate their complicated vision effectively will definitely be a continuous challenge. It’s impossible to tell whether or not Skycoin will be able to achieve their enormous vision, but it will certainly be an exciting coin to watch out for in the future.